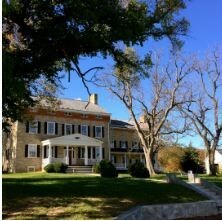 The large historic estate offering guests an ideal setting to enjoy fine wines, craft beer and award-winning Bourbon, Whiskey, Rum, Gin and Brandy. Create the event of a lifetime.....weddings, corporate events and private functions for 300 seated guest. The County Inn offers luxurious accommodations. Did our first string art class!